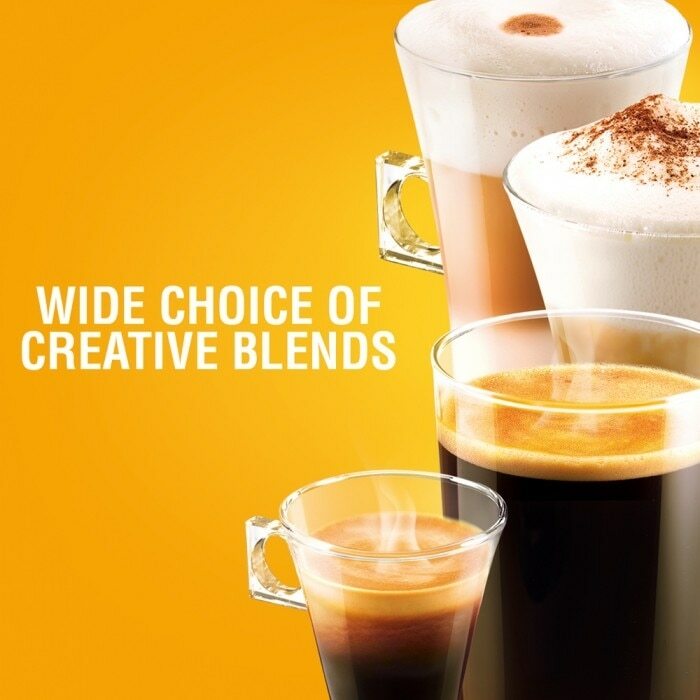 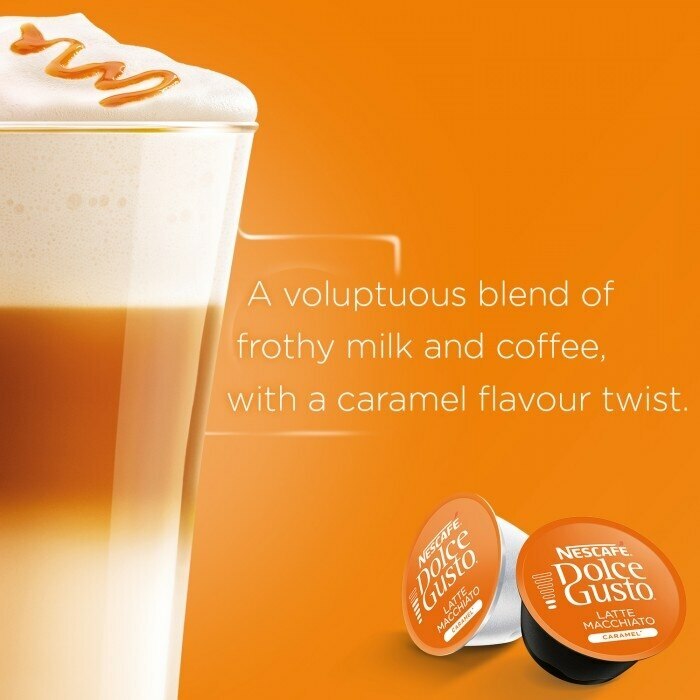 Our NESCAFÉ® Dolce Gusto® Caramel Latte Macchiato is a spectacularly layered coffee creation made of hot milk, caramel flavour, smooth coffee and voluptuous froth. 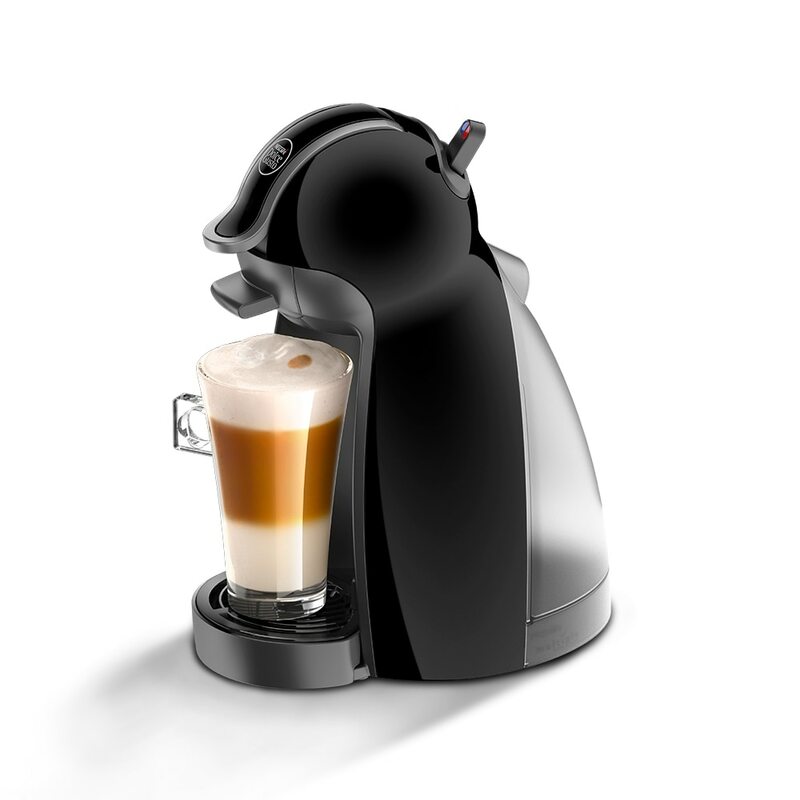 Milkier than a cappuccino, this Italian icon is a perfect coffee treat. 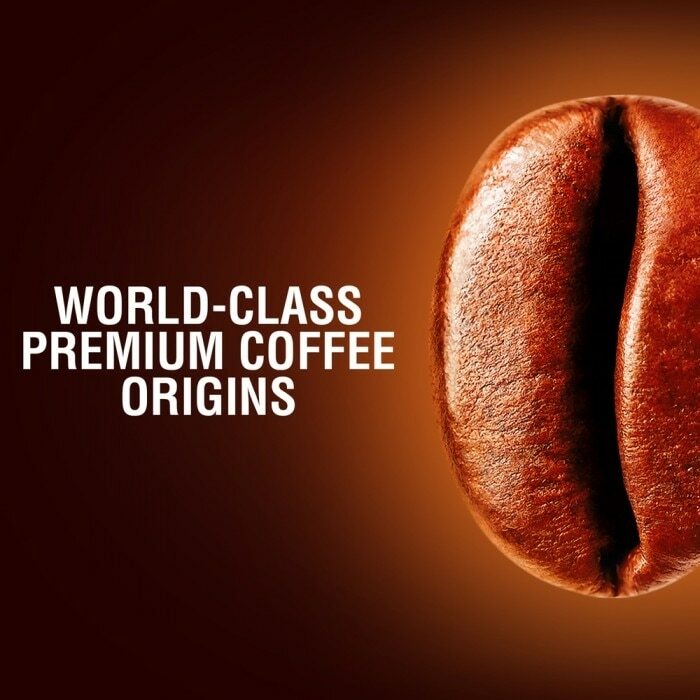 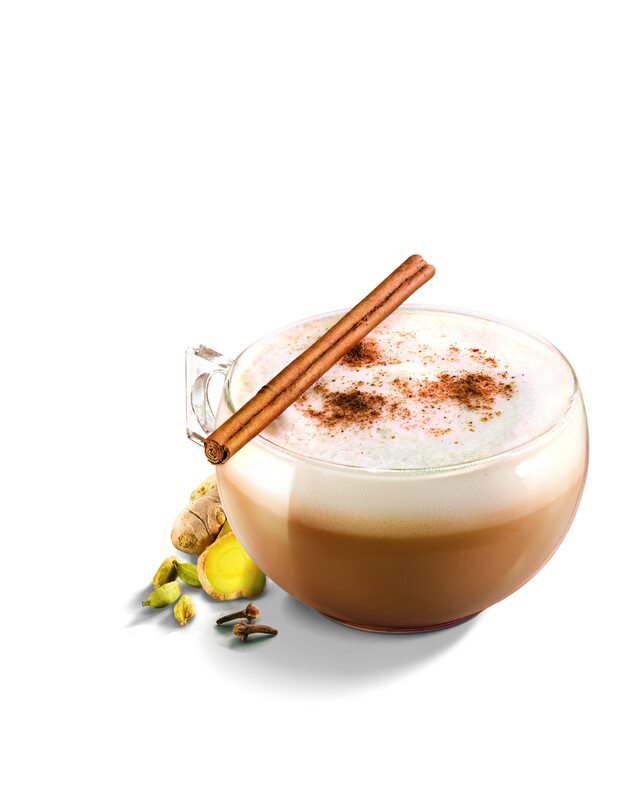 Our coffee creators have designed Caramel Latte Macchiato recipe in two capsules: one capsule for the whole milk and a caramel flavor twist, and one capsule with a rich and smooth espresso, specially blended from 4 premium Arabica and Robusta origins, including smooth Brazilian and rich fruity Colombian Arabica coffee beans. 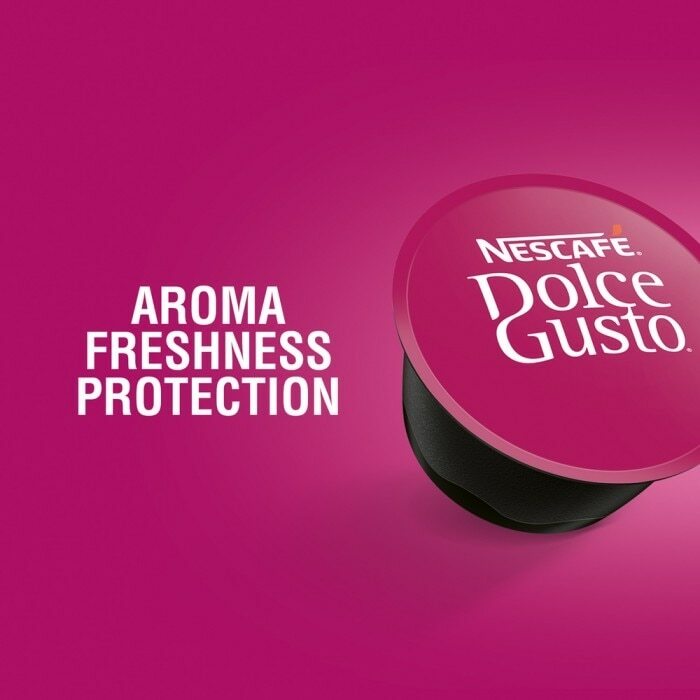 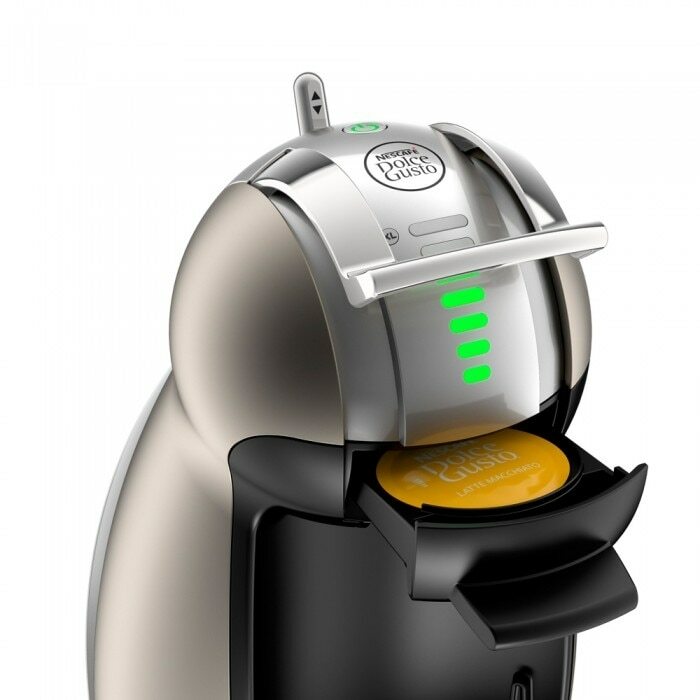 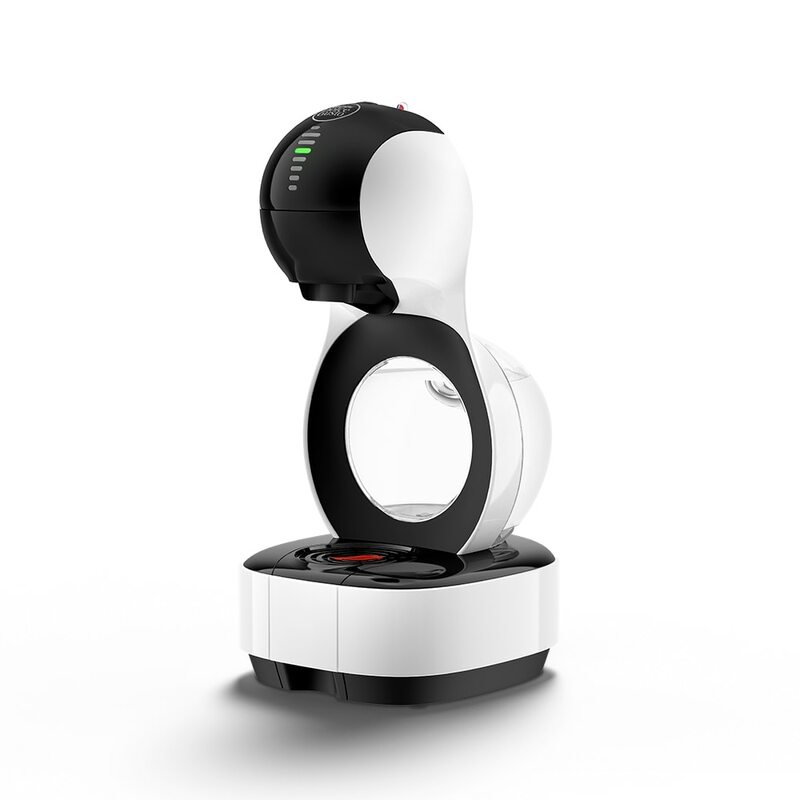 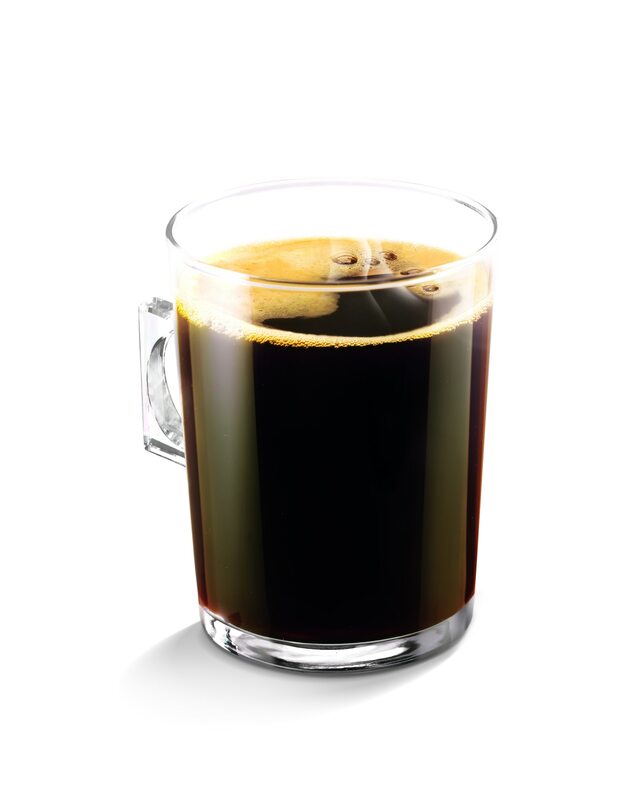 First slide the milk (white) capsule into your NESCAFÉ® Dolce Gusto® machine. 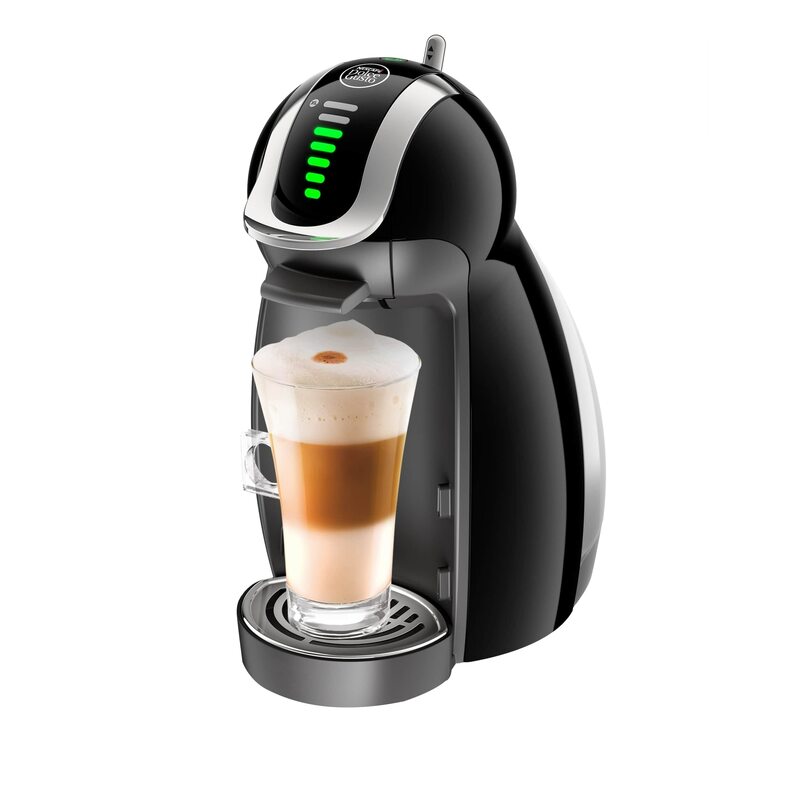 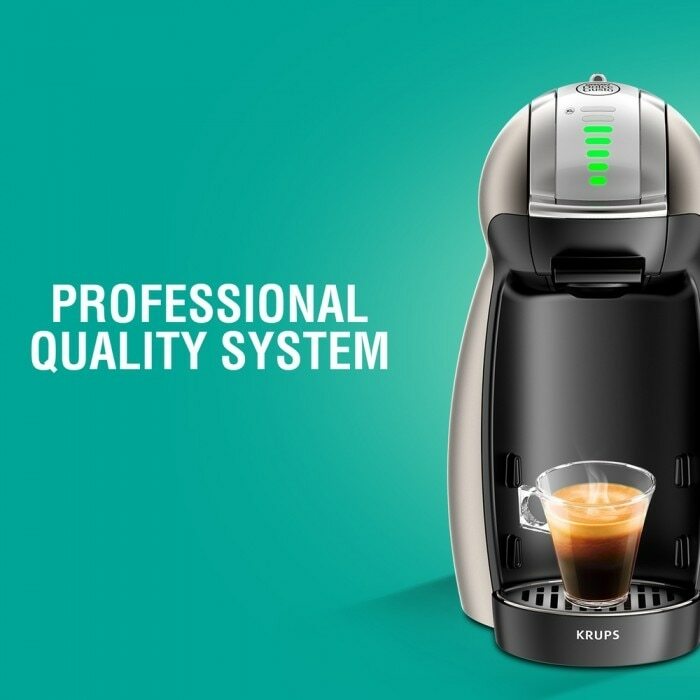 Then repeat with the coffee (brown) capsule and have your perfect Caramel Latte Macchiato ready right away. 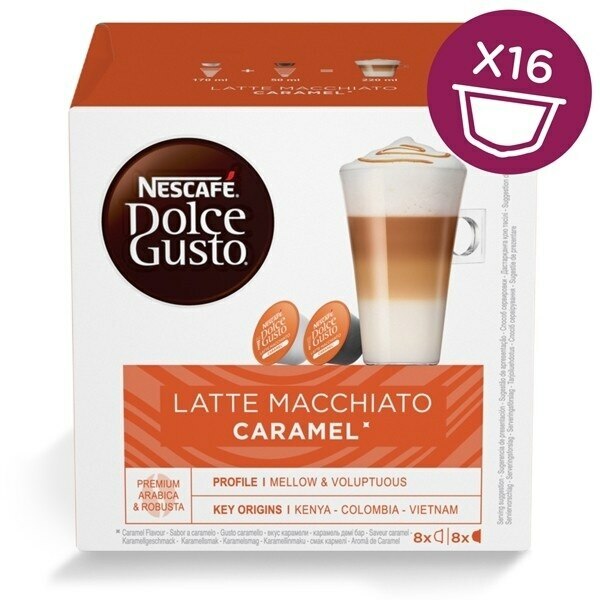 Each box contains 8 coffee and 8 milk capsules designed for NESCAFÉ® Dolce Gusto® capsule machines and allows you to prepare 8 cups of Caramel Latte Macchiato.